Biswa's Blog: Take A Break! After going through a rigorous as well as hectic job life cycle, we feel exhausted. We feel as if we are on the verge of a nervous breakdown. We feel pathetic about everything. We start hating our job life, our monotonous and boring timetable, our loneliness and even strangers! When we start feeling low, we should take a break! Taking a break is the best solution. Go out, visit new places, make new friends, relax, rejuvenate your soul and feel fresh. A small break is good enough to refresh your mind and body. You will feel better and you will start enjoying your life. Yes, you can even feel that your "Boss" is "The Best Boss of the entire universe". 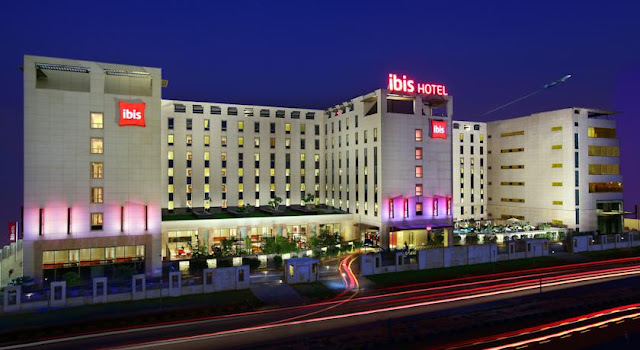 1) IBIS Delhi Airport: If you are looking for a budget friendly hotel, then IBIS Delhi Airport is the best option for you. Located at Mahipalpur, IBIS Delhi is the only international hotel between T1 and T3 terminals. The hotel is very good. It is within 5 minutes walk from Aerocity Metro Station. All rooms are equipped with comfortable beds, mini fridge, work desk, LCD, air conditioner and digital safe. The ambience is calm and family friendly. It provides world class comfort without burning a hole in your wallet. Many 'Hot N Happening' pubs are located near this hotel where you can let your hair down, burn the dance floor, meet strangers and return back with loads of exciting memories. If the sky is the limit for your wallet, then Taj Mahal Hotel and The Leela Palace are highly recommended for you. 2) Taj Mahal Hotel: Taj Mahal Hotel is one of the most luxurious hotels of India. The interiors are lavish and the ambience is cosy. You will definitely fall in love with this hotel at first sight. Quality service, well mannered and helpful staffs, extremely safe environment, luxurious comfort, delicious food and unmatched experience: These are some of the features of Taj Mahal Hotel. Located at the Mansingh Road, Taj Mahal Hotel is a 5-star hotel equipped with a swimming pool, gymnasium and ayurvedic spa. Book a luxury suite and enjoy the view of The Parliament House and India Gate from your suite. It has an urban lounge: Rick's - it serves the best cocktails. It also has Machan - a 24-hour international eatery. One night at Taj Mahal Hotel will definitely change your whole world(in a positive way). 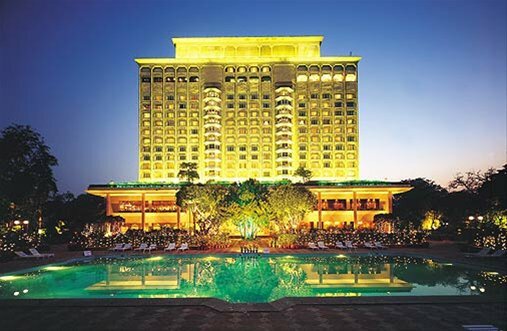 3) The Leela Palace is another luxury hotel of New Delhi. Step inside The Leela Palace, a royal view will greet you. You will be treated like an emperor. Located near Chanakyapuri, The Leela Palace is the synonym of luxury. Almost all famous tourist attractions like India Gate, Jantar Mantar, Qutub Minar and Humayun's Tomb are located near The Leela Palace. The Leela Palace treats your taste buds with a wide range of options. North Indian and South Indian cuisines are available at Jamavar. French and Italian delicacies are served at the Le Cirque. Japanese cuisines are available at Megu. For buffet breakfast and lunch, head over to The Qube. The Qube is also famous for live jazz performances, thrice a week. 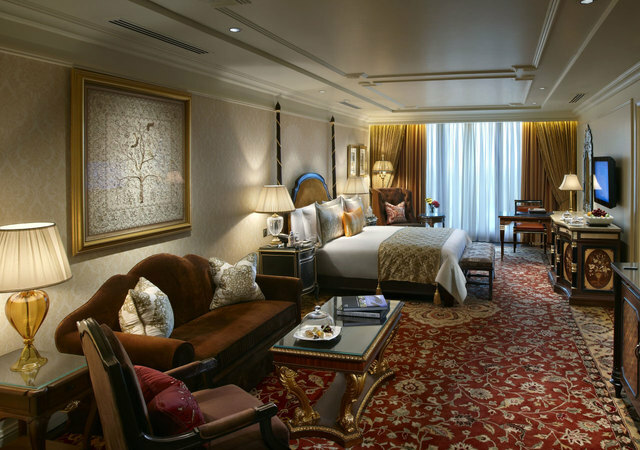 The rooms of The Leela Palace are spacious and boast of high-end decor, modern amenities and ravishing furnishing. The ambience is really magical and the experience is enthralling! Go, pack your bags, take a break, refresh your spirit and live like there is no tomorrow!